The new SLP drum kits are based on the concept Tama’s SLP snare drum series, which have become very popular worldwide for their wide range of features and sound characteristics. Like the snares, each kit model has its own original sound and distinct features such as hoops, lugs and tom brackets, that were carefully selected to achieve the full potential of its shell material. 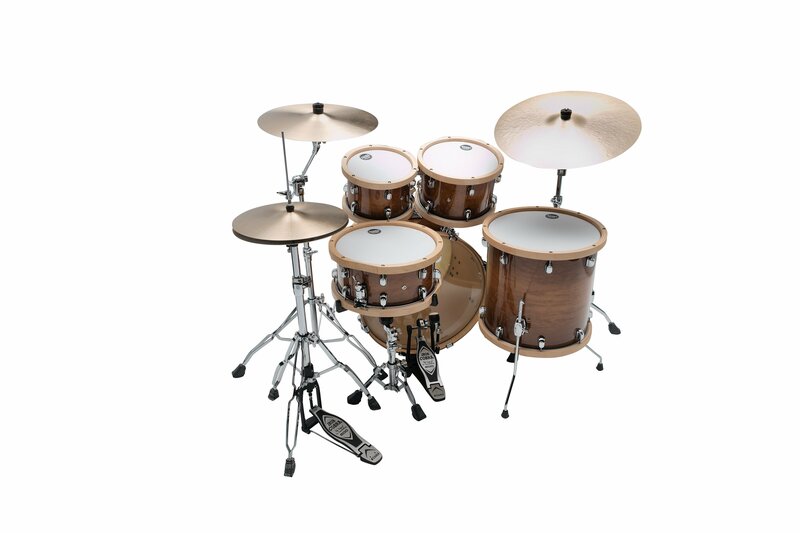 The Studio Maple kit is very original model in both sound and appearance, with Sound Focus Rings on the inside of the shells and 100% Maple Wood Hoops. It has a focused, warm, woody tone with clear attack, and a relatively short sustain with beautiful decay. While great for live performance, this model really excels in the studio, especially when seeking a warm sound with controlled resonance. 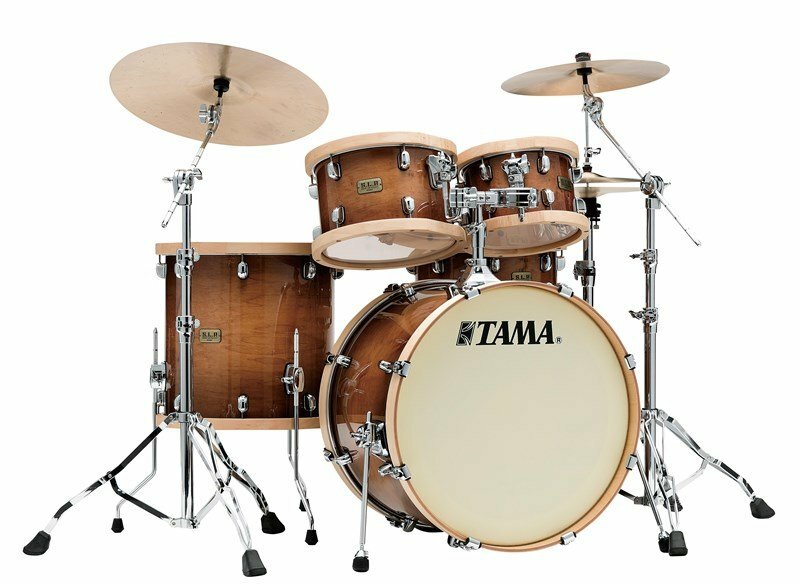 The Tama S.L.P Studio Maple Shell Pack features 6-ply, 5mm shells on both the rack toms and the floor toms, whilst the bass drum features a thicker 8-ply, 6mm shell for a fatter, heavier tone. 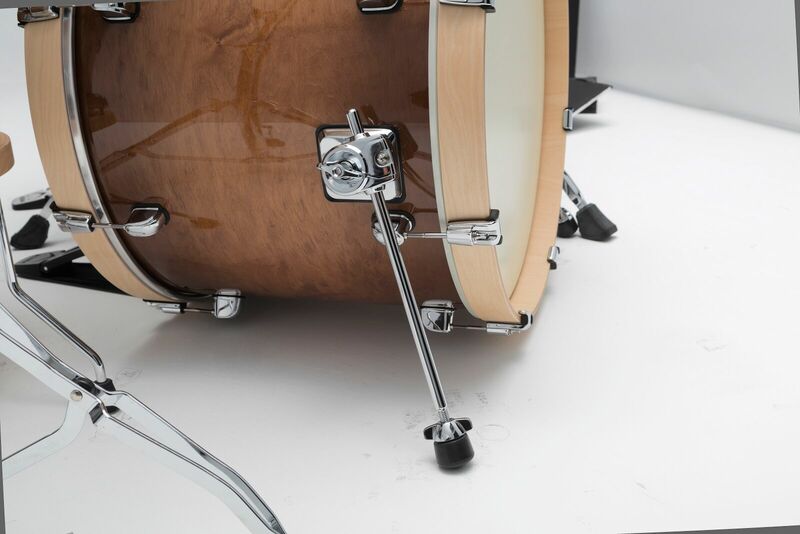 The maple wooden hoops cut off any resonance and sustain from the bass drum, offering a fatter, more controlled tone to contrast the singing warmth from the rest of the kit. Maple, when compared to other popular tonewoods used in drums, is a soft wood with a looser grain. This allows for higher frequencies, increased warmth and incredibly powerful projection. 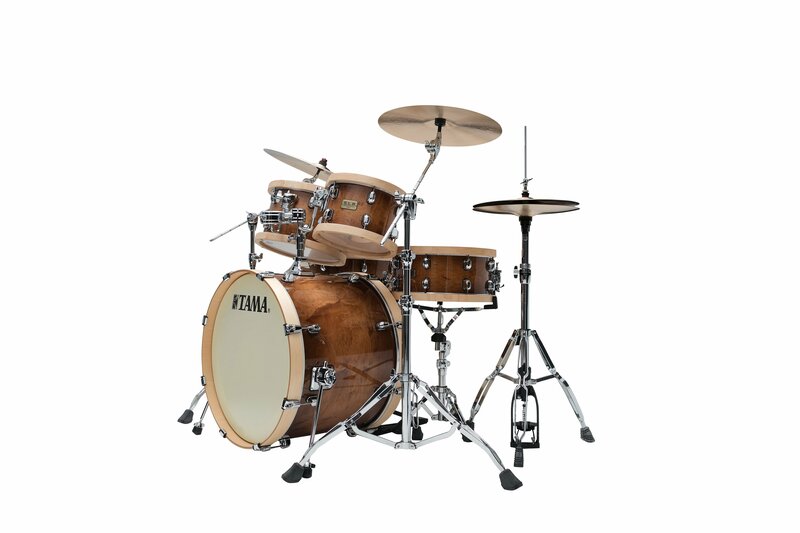 The shells are finished in a beautiful natural Sienna Gloss Burst finish. 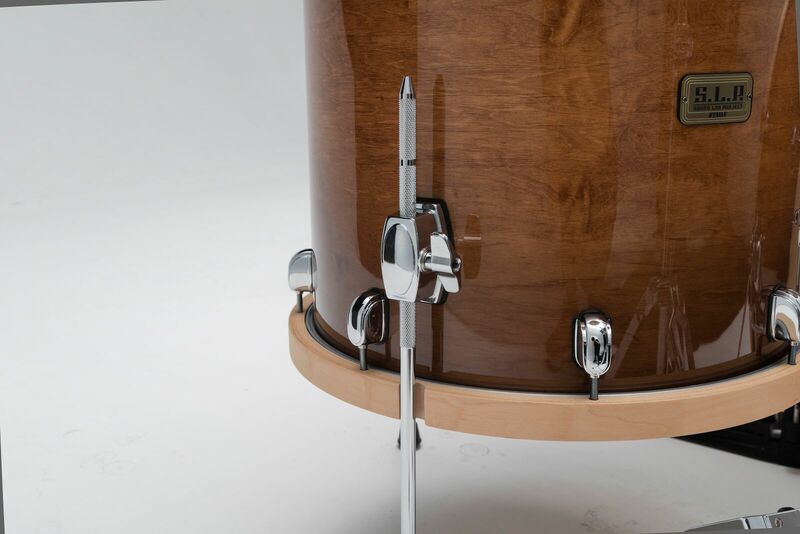 Wooden hoops are rarely featured across the entire kits, due to shells usually needing increased resonance. 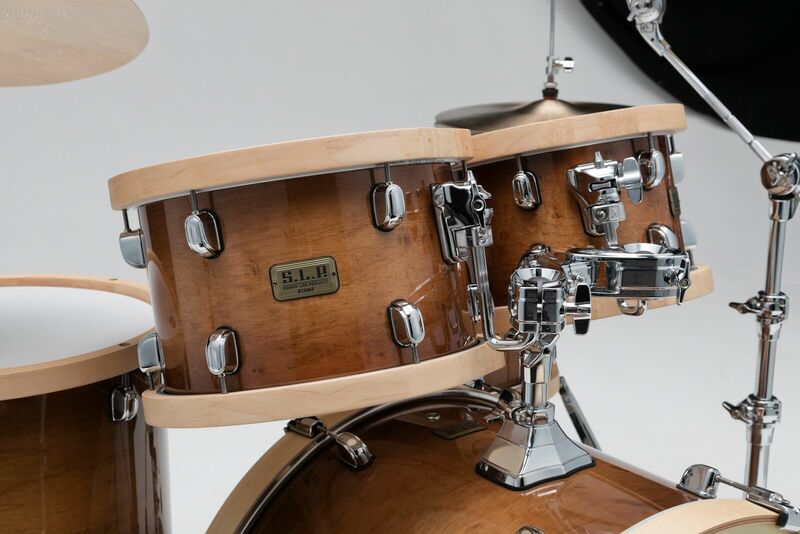 With the S.L.P Studio Maple Shell Pack, the 100 percent maple wooden hoops complement the kits tone and warmth, as well as the beautiful aesthetic that the kit boasts. The hoops offer a short sustain and controlled resonance, increasing the shells warmth and bolstering the woody tone and clear attack. The hoops are featured across the entire kit, ensuring a continuous tone throughout. 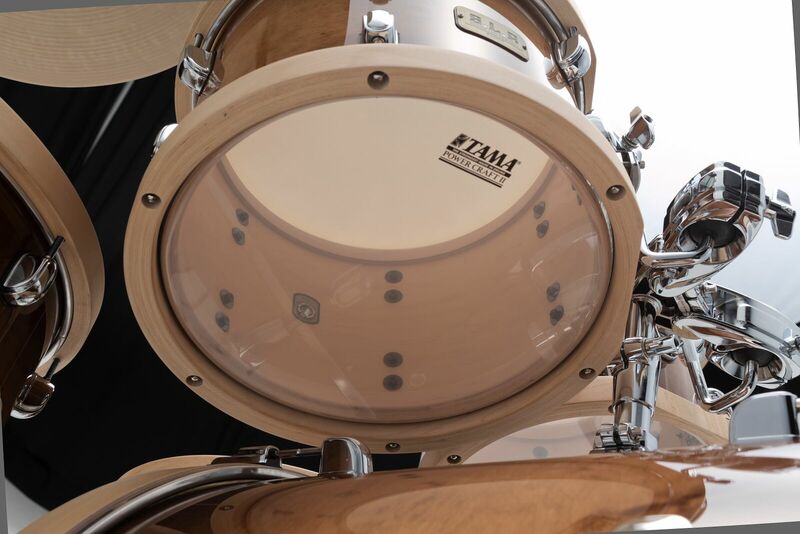 The S.L.P Studio Maple Shell Pack features Tama’s newly designed Direct Flexi-Mount, featuring a two-piece structure that instead of increasing resonance, this system controls the vibration of the shell whilst allowing the shell to resonate more freely than traditional direct-to-shell mounts. The mount is made of a plate that is mounted to the shell and another piece that secures the L-rod of the tom holder/stand. The two sections are connected with a steel shaft, allowing for some horizontal play. This is what controls the vibration of the shell, allowing for increased resonance, projection and tone, as well as providing a smooth decay for a clear sound. *Snare, stands and cymbals not included.